Owners and contractors are awakening to the cold reality that sharing information and conducting transactions over the Internet or any other accessible network means exposure to the possibility of cyber attacks. Is your firm prepared? With emphasis on a shared BIM environment, this course provides an overview of the threats that exist today, steps the companies can take to protect themselves, and explains insurance coverage that is necessary to protect all parties in a construction project. 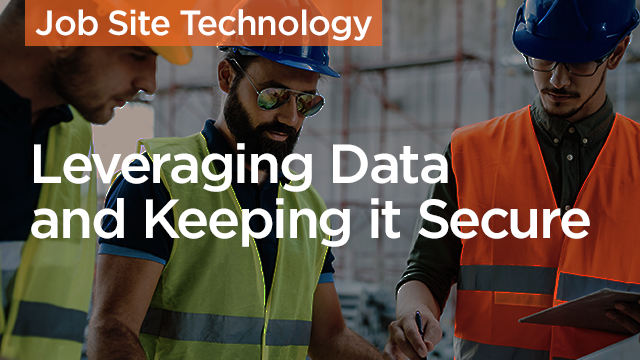 Discover how enhancing the security of your data makes you more valuable to an owner. Learn how to leverage cyber security as a prequalification criterion for bidding subcontractors. Recognize and avoid threats that can affect projects and approaches for mitigating the risks presented by cyber attacks. Become familiar with the contractual requirements including identification and purchase of “cyber liability” insurance.